If your baby's skin is sensitive, it needs constant and special care. 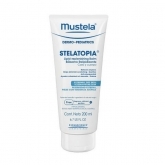 At BeautyTheShop, we provide you with the best brands and products for the treatment of sensitive skin in infants. We count on only the most revolutionary brands and have the greatest confidence due to our extensive experience. Consult with us and we will advise you so that your baby receives the care best suited to his or her needs.